Emiliano Grillo has one title on the PGA Tour, at the 2015-16 Frys.com Open, and is a member of the so-called “Class of 2011” which included the likes of Jordan Spieth and Justin Thomas during their amateur days. Emiliano Grillo’s round featured eight birdies and a solitary bogey, but the way he scrambled time and again and made clutch putts pointed to his mental strength. It takes a special kind of player to win on the PGA Tour, the toughest golf circuit in the world. Emiliano Grillo is one such player and on Thursday at the Hero Indian Open, the young Argentine gave ample evidence of his qualities. The Gary Player-designed layout at the DLF Golf & Country Club was expected to be a tough challenge, but the 25-year-old made light work of the assignment, beginning the tournament with a course record-equalling 7-under 65 for a two-shot lead. Bad light brought the first day’s action to a premature end with 24 players yet to complete their opening rounds. Grillo’s round featured eight birdies and a solitary bogey, but the way he scrambled time and again and made clutch putts pointed to his mental strength. Spaniard Pablo Larrazabal had nine birdies, two bogeys and a double bogey in his round of 67 which put him in tied-2nd spot. He twice went on a birdie binge, once making five on the trot and once three. Sounds exciting? But it wasn’t the most exciting part of his day. The 34-year-old barely made it for his round on time as his phone had somehow reverted to Spanish time and the alarm rang just 38 minutes before his tee-time. As many as 15 nationalities are represented in the players who find themselves among the top-10 and ties after the first day. But surprisingly, there was just one player from the host nation near the top of the leaderboard. Ajeetesh Sandhu, playing his first tournament for a month, was the standout Indian player. His five birdies and sole bogey put him in a tie for 7th spot. “I had not played for a long time because it is still snowing in Japan, where I play most of the year. Today was almost a dream round. I hit all fairways and made regulation on 17 out of 18 greens. 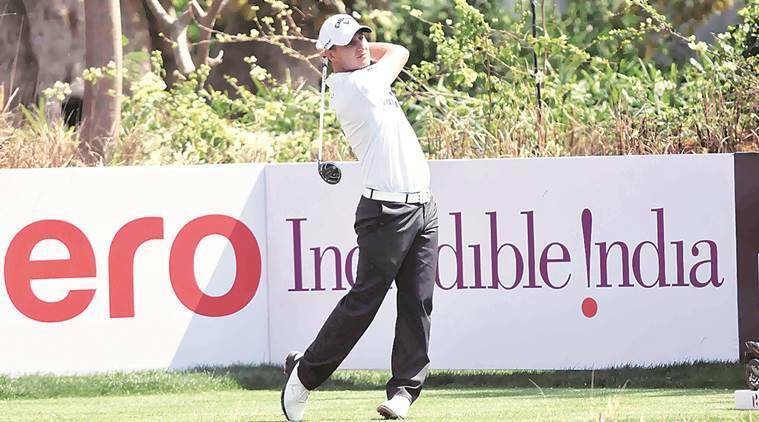 There were a few lip-outs,” Sandhu said after carding a 68. Just days after he impressed Phil Mickelson with his game at the WGC-Mexico Championship, Shubhankar Sharma earned another opportunity to do so with another golfing superstar when he tees up with Rory McIlroy for a practice round before the Masters. Now comes a chance to impress McIlroy, the Ulsterman with four Major titles, who has invited him to play a practice round with him at Augusta. “McIlroy is one of my idols. I’m looking forward to the practice round with him,” Sharma said.